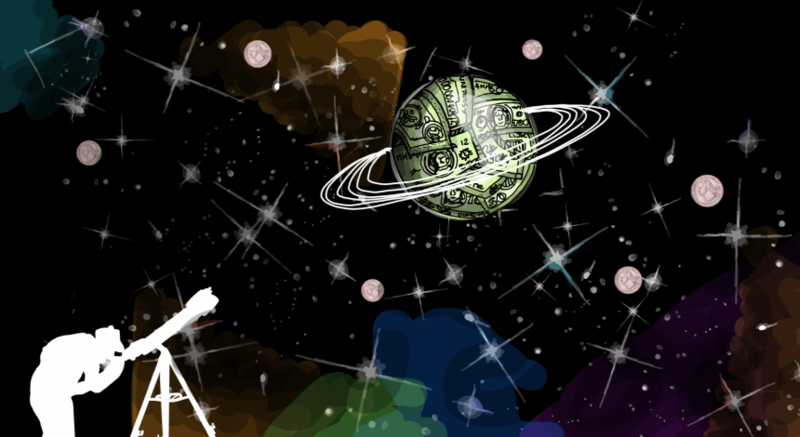 Two weeks after Gov. 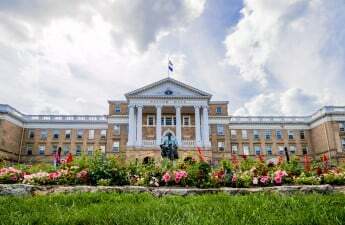 Scott Walker pledged to cut in-state tuition for all University of Wisconsin System undergraduates, some lawmakers, experts and university leaders wonder if a more targeted approach might be more beneficial. Walker hasn’t yet released details of his plan — which seems to be the first tuition cut in the system’s history — but is expected to do so next month when he releases his full state budget proposal. The proposition comes after four years of in-state tuition freezes and $250 million in cuts to the UW System over the past two years. Assembly Speaker Robin Vos, R-Rochester, said at a WisPolitics.com event that an across the board tuition cut isn’t necessarily his goal, though he’s open to Walker’s idea. “If we have extra money, while I’m open to the governor’s idea and want to see the exact language, I would rather put the money in financial aid to help students who are going to leave with a lot of debt because they start with no money,” Vos said. Walker has promised he’ll backfill any revenues the UW System would lose by charging lower tuition. According to the Legislative Fiscal Bureau, a 1 percent cut in tuition would cost between $7 million and $8 million and save students at UW around $100 a year. 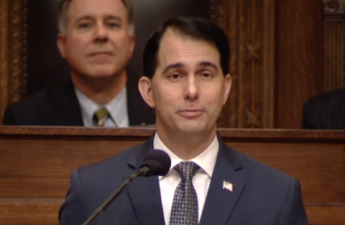 Walker announced his proposal to cut tuition at his State of the State address this month, saying he has made real progress on college affordability while his Democratic predecessor oversaw major tuition hikes. “We are making college more affordable, and at the same time, the University of Wisconsin-Madison is thriving,” Walker said. Vos and other key Republicans haven’t fully embraced the idea, saying they look forward to hearing more details from him. But Mike Mikalsen, a spokesperson for state Sen. Steve Nass, R-Whitewater, said an across the board cut, like Walker is proposing, helps students whose families make too much money to qualify for financial aid but still struggle to pay for college. These students usually get left out of the conversation about college affordability. “It’s ridiculous to say we should cover 100 percent of the cost to attend for a lot of people at the lower end when we’re still missing this huge group in the middle,” Mikalsen said. Democrats have been significantly more skeptical, with Assembly Minority Leader Peter Barca, D-Kenosha, telling reporters after the address that Walker refused to give more money to the UW System while it faced flat revenues from the tuition freeze. “The problem has been that he’s never funded the freeze, so I can’t imagine that he’d fund a decreased tuition,” Barca said. UW System officials were also cautious in their support. 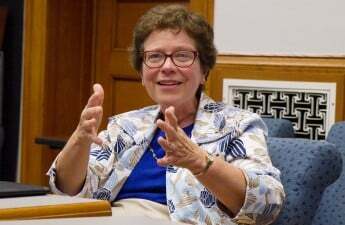 UW Chancellor Rebecca Blank said in a statement she fully supports a decrease in tuition, as long as the state makes up for the lost revenue. “We are making college more affordable, and at the same time, the University of Wisconsin-Madison is thriving.” Gov. Scott Walker “It is our hope that the governor and Legislature will not only fully fund the proposed tuition reduction but also provide additional investment in the UW System in line with the modest request made by the Board of Regents, which is critical if we are to continue providing an outstanding education experience to our students,” Blank said. The tuition cut is part of a broader UW System funding debate. The system, for example, is asking state lawmakers for $42.5 million more in state funds in the next budget, saying it’s “time to reinvest” in the state’s universities. The UW System is also requesting about $78 million over the next biennium to increase pay for its staff. Walker has said he wants to increase funding for the UW System, but he’d like to see those funds tied to performance measures. In doing so, Walker would follow the lead of 32 other states that use some sort of performance-based funding for their universities. He hasn’t yet detailed what criteria he’d like to use. As Walker puts the finishing touches on his budget proposal, he also got news last week he would have more money to work with. The Legislative Fiscal Bureau forecasted tax collections will be $322 million higher through 2019 than Walker’s administration estimated in November. That has many hoping some of those funds will find their way back to UW. 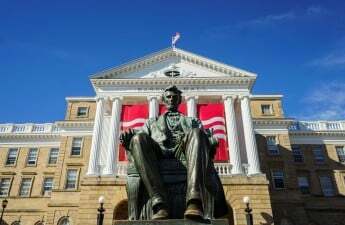 With the tuition cut, however, Walker landed on a proposal that would prove popular among Wisconsin families, said Noel Radomski, Wisconsin Center for the Advancement of Postsecondary Education managing director. Even though it could end up meaning raises in out-of-state or international tuition to make up the difference if the cuts aren’t backfilled, Radomski said legislators’ focus tends to be on Wisconsin families. An unprecedented move like this might benefit Walker in the future if he decides to run for re-election in 2018 or make another bid for president, Radomski said. 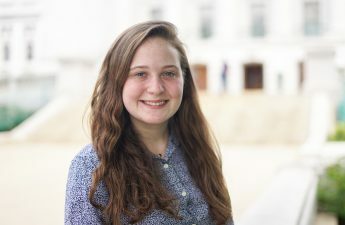 Sally Rohrer, Associated Students of Madison’s legislative affairs chair, expressed concern about the impact Walker’s tuition cut might have on international and out-of-state tuition. Out-of-state students at UW saw a $3,000 tuition increase this year and will see hikes totaling $7,000 in the next three years. Blank drew up the out-of-state tuition increase plan and the Board of Regents recently approved the last two years of hikes. “We want to be an accessible university to all, not just in-state students,” Rohrer said. “Spreading across a limited pot of money for a tuition decrease might get you a headline, but the reality is there are students who can afford to go to school and there are students to which the affordability is a major obstacle for them to even be able to consider going to college,” Hintz said. Radomski said if the budget doesn’t include backfilling the cuts, schools with fewer out-of-state and international students will suffer more than campuses like UW, where increasing other students’ tuitions can make up for the cuts. That includes the two-year UW colleges located around the state. “We want to be an accessible university to all, not just in-state students.” Sally Rohrer UW Colleges and UW-Extension Chancellor Cathy Sandeen said most of the students at the UW Colleges are from lower-income households and many are first-generation college students. She’s confident Walker’s budget will include backfilling the tuition cuts, but she emphasized the colleges don’t have a lot of wiggle room. She said the colleges went through a “major restructuring” of administration after the last round of budget cuts, and more cuts would be damaging to the campuses and students. 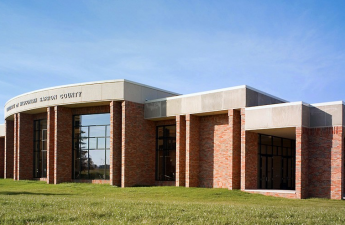 “The two-year campuses are already very frugal and efficient,” Sandeen said. Rohrer said revenue decreases would likely result in fewer services for students. This could mean more time until graduation, which would make college less affordable, she said. ASM has started two hashtags — #BackOurBudget and #FundOurUW — to express why UW needs funding as the governor and state Legislature craft the budget. “My fear is that with tuition cuts, and even if we fund the tuition cuts for in-state students, we’ll still be at the level of budget emergency, always kind of living on the edge and not being able to prosper,” Rohrer said.